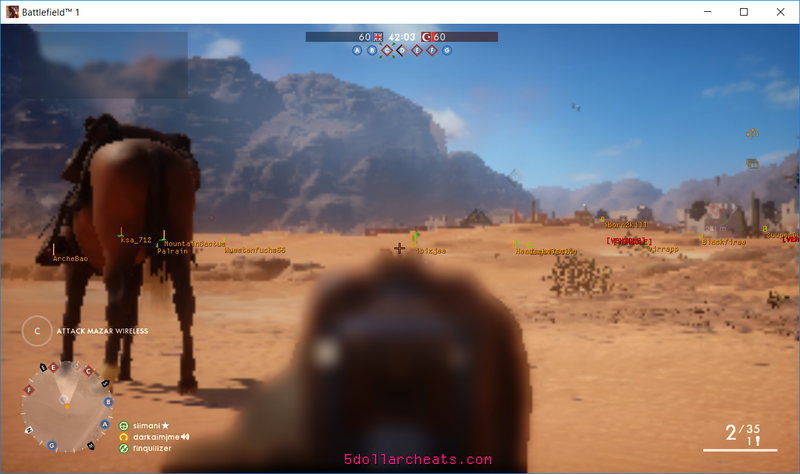 Our established BF1 Hacks offer that edge over your opponent for only $5!! 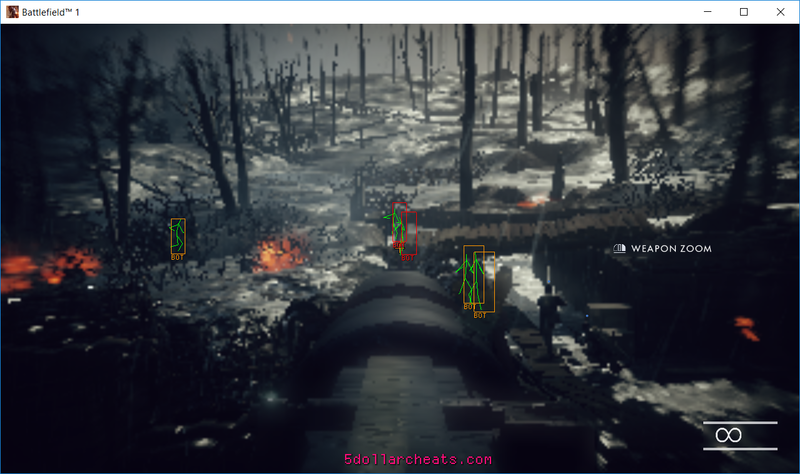 Our hack has never been detected and is the cheapest way to cheat in Battlefield 1! 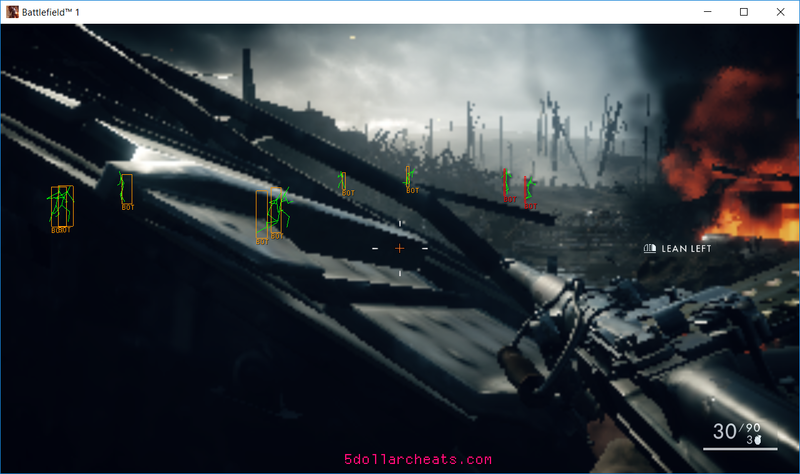 We often hear that our BF1 wall-hack is the best our users have every experienced in terms of accuracy and optimization. Locate enemies easily for the kill and have that edge over your opponents! More features being added very soon! Ask in the shoutbox or presale questions for more up to date information.